So, this idea about owning a massage chair has been closing your mind lately, maybe after seeing one in a friend’s house or came across an article discussing some of the benefits of a massage chair that you felt resonated well with your needs. Well, this article will make the idea sink in deeper by letting you know how a massage chair functions and why it’s worth all the credit bestowed on it and of course the money. Massage chair vendors and Spa operator may have a lot of knowledge on the different models of massage chairs unlike you. Their opinion on the most preferable chair for you may be biased hence not helpful to you. Understanding how they work may help you have an idea of what to look for when shopping for a massage chair. To get your hands on really good massage chair, you may find the origin of massage chairs interesting. Back in 1950, Roland A. Labbe the man accredited as the father of modern massage chairs filed a patent application. His very first massage chair was nothing like the cozy and comfy chairs in the market today. From a distance, the chair resembled one of those medieval torture devices. Roland’s prototype was strange and intimidating. Nevertheless, that very chair gave innovators and engineers an idea that they have expounded on and the result is the classy chairs that we have today. How does a massage chair really works? How is it able to the moves of a human masseuse? There are different models with different specifications meant to act on specific parts of the body. The basic types of chairs just vibrate. Others more advanced incorporate complex machinery like rollers. They mimic masseuse hands by rotating in place and making up and down movement. They produce a soothing feeling to the body relaxing it and reliving the user’s body tensions. Other chairs use airbags, which expand and contract rhythmically impacting the muscles, which increases healthy blood circulation. Still some designs use heat and others water to massage away tension and help muscles relax. However, the best massage chairs are those combining more features together. A chair with rollers, vibrating mechanism, gears. And motors would have significant relieving effects on the user. So what component of massage chairs that makes them stand out? Rollers are the one component that makes massage chairs mimics the human hand. Generally, different massage chairs have different design of rollers. The design depends on the part of body that is to be massaged. Rollers for the back muscle, shoulders, and neck part will usually move up and down and in a rotation pattern to mimic the human hand. The number of rollers in a chair depends on the complexity of the chair. The more complex one’s have many rollers the move not only up and down but horizontally as well as in circles. Current models can combine several functionalities in a single chair. These designs s with the end user in mind, the consideration is that a chair bought for home use should accommodate the needs of more than one person. A man may need back relaxation after a long day at work while his pregnant wife may need feet massage. Their school going kid may also benefit from the use of the chair to relive them stress. Hence when buying a massage chair, the more the rollers the better. Look also for some additional functionality like heat massage. This is perfect for people who spend most of the day standing or walking. Heat massage rejuvenates the muscles and you can take on another day refreshed. A good chair should have a remote control, which can help the user control the chair’s functionality. Although massage chairs can be costly, they are however worth every coin. Owning the chair will definitely impact every member of the family positively. But in as much as one may want to own the chair, cost issues is always a big concern. However, there are different models of massage chair that would fit your budget. There is no reason why you shouldn’t own a massage chair right away. Stress is a condition that affects many people. It is also downplayed by many people as part of life and something that we cannot avoid. This also means that many people downplay the importance of relaxing and engaging measures that help alleviate stress. Having a relaxing mechanism to cope with stress is an important aspect of everyone’s lives. The massage chairs act as such a coping mechanism for many people. It is also a good business idea for anyone looking to earn an income. For a business, the option can be offered alongside other spa services. The chairs not only serve to help a person relax but also come in handy for someone in pain as they help in relieving the muscles. Your needs – This is essential for every purchase we make. You need to identify how you intend to use the massage chair based on your needs. For example, as mentioned earlier, the needs may be either for relaxation or relieving pain. The easiest to choose based on this is a massage chair for relaxation. This is because most models are suited to help with this. They also suited to provide relaxation for different parts of the body based on your preferences at that time. If you need more than a basic massage you can get a premium chair as compared to normal ones. If you are looking for a chair for pain management, the search is different as specific chairs are made for this function. Various models are made for chronic pains such as back pains, tendinitis, shoulder pains and neck pains. If you are experiencing other pains, it is best to get one that is suited to alleviating and easing that particular pain. Your budget – Whether the chair is for relaxation or pain relief, your budget determines the chair you will get. In essence, chairs with only basic functionalities are cheaper than chairs that have more functions. For pain, chairs for chronic pains which are more common tend to be cheaper than chairs for other differentiated pains. Once you establish your budget, you can be able to pick the chairs that work for you. 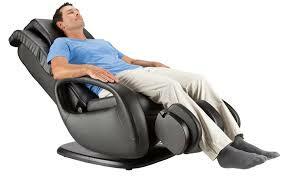 Size – Massage chairs are considerably bigger in size than normal chairs. Whether it is for business or home use, the size needs to be considered as it needs to fit. The chair is not an outside item. As such, you need to look at the space you intend to keep it in and determine which space is best. It is also important to consider space for adjustments as the chairs need to be adjusted for different functions. Also when you buy the chair and are arranging it, ensure it is not against the wall or too near the door. The adjustments are made on all sides of the chair and it should have enough space between it and other objects for such. This makes it more convenient to use as it does not have to be moved every time. Design – Even though design plays second fiddle to other factors considered, it is always good to choose a chair whose design you love. This is important as it helps add on to the feeling of relaxation you get when using the chair. Other than that, it allows you to keep the chair in any open space as you please since it is eye capturing. Design not only considers its shape but also color. Get something that easily gets you in a relaxing mood. Customization – stresses come in different forms and thus relief for them varies from time to time. You need to make a choice where you can be able to customize the need you have at that particular time. 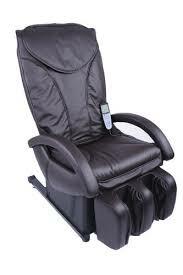 It is also best to get a massage chair that has some pre-set customizations to make it easy for you to use it. Other than that, you should look at one where you can set your own custom preferences to use at a later date. This makes it easy to use especially for home use as it does not have to be changed to accommodate a lot of people.